Pablo A. Ormachea, Brian K. Lovins, David M. Eagleman, Sasha Davenport, Anna Jarman, Gabe Haarsma (2017). SAGE Journals. The role of neuroscience in drug policy: Promises and prospects. Ormachea PA, Savjani RR, DeLaGarza R, Eagleman DM (2016). Journal of Science and Law 2(1): 1-15. Enabling individualized criminal sentencing while reducing subjectivity: a tablet-based assessment of recidivism risk. Ormachea PA, Davenport S, Haarsma G, Jarman A, Henderson H, Eagleman DM (2016). AMA Journal of Ethics 18:243-251. A new criminal records database for large scale analysis of policy and behavior. Ormachea PA, Haarsma G, Davenport S, Eagleman DM (2015). Journal of Science and Law 1(1):1-7. Intuitions of blameworthiness as a heuristic that evaluates the probability of the offender committing future antisocial acts. Bumann B, Eagleman DM (2012). Thurgood Marshall Law Review. 36(2):129-155. Defining a neurocompatibility index for systems of law. 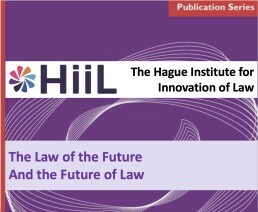 In Law of the Future, Hague Institute for the Internationalisation of Law. Legal-Ease: Is Neuroimaging a Valid Biomarker in Legal Cases? Valeo T (2012). Neurology Today 12(8): 38-40. Eagleman DM (2011). The Atlantic. July 2011. Eagleman DM (2011). Published in NZZ am Sonntag (Switzerland), Politiken (Denmark), and The Independent (UK), Aug 2011. The human brain: Turning our minds to the law. Eagleman DM (2011). The Telegraph. Apr 5, 2011. Why neuroscience matters for a rational drug policy. Eagleman DM, Correro MA, Singh J (2010). Minnesota Journal of Law, Science and Technology. Eagleman DM (2008). Houston Lawyer 16(6): 36-40.